Inflation increases at rocket speed due to higher transport, housing and food costs. Inflation is when the general level of prices increase over time. Consumer price index (CPI) is the most common measure of inflation. When doing financial planning, inflation is of vital concern as it not only affect what we pay for but also how much we earn. We need more income when prices increase because our purchasing power drops. Let’s assume you earn $3,000/mth in 2007 and your salary increase to $3,202/mth in 2010 which is an annual growth of 2.2%. If inflation averaged 2.8% each year, your purchasing power would have decreased even though your income increases. Your income need to be $3,259/mth just to keep pace with inflation. Interest rates will increase due to inflation and it will drive up the cost of borrowing money as lenders seek compensation for their eroding purchasing power. This will in turn mean higher mortgage payments, higher monthly car installments, and so on. Inflation will also have a detrimental effect on stock, bond prices and retirement plans. Are you doing anything to keep pace with inflation? If money earned today is more valuable than the same amount of money earned years down the road, you should start to save and invest as much of today’s money as possible. Compound interest is your friend, so take full advantage of it. 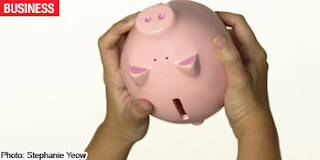 But the only way for you to invest more is to save more money, and this is a difficult task for many. There are always new “must-have” items on the market every day, that LCD TV or an iPhone. No wonder more people are chalking up huge credit card debts and defaulting on debts. Keep in this mind, key to any financial plan is to start small and do the little things which will bring a huge difference in your finances years later. You can start by saving an additional $25 or $100 per week. The amount does not need to huge but you got to start. Once started, you are likely to continue to keep going as long as you keep everything on autopilot. A good target will be 20 to 25% of your monthly income. Your saving rate will come into play when you retire. The success of retirement plans will be based on the various rates of saving. If one who has 40 years to retirement, he is likely to replace all their current income when they retire if he save 20%, but he will only generate less than half his current income during retirement if he only save 5%. So your savings rate really matters. More young Singaporeans are defaulting on their debts, especially those aged 21 to 29 who are married as there is always pressure to spend. There is a need to reassess spending plans and set more realistic budgets and stick to it. If this lack of discipline continue, it will hurt in the long run as it will affect the credit rating and ability to access credit in the future. You might be thinking, people in the past didn’t plan for their future – so why should you? 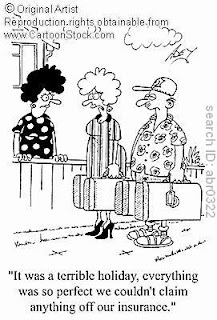 The reason is the same reason why you haven’t packed for Europe: You are not going! Likewise, people in the past never planned for their future because they are not going to have one. They will not be worried about developing cancer at age 88 when they will be dead at 45 due to tuberculosis. Since people were not expected to live past 65, there is simply no need for planning. No financial planner can protect you from the risks you face in life. But they can protect you from suffering from financial losses that may occur when any of those risks (injury, illness, death, and lawsuits) become reality. A proper goal will be worthless if you are going to owe lots of money. You must move from owning money to owning money. It is not going to be funny if you run out of money before the end of your life. You got to accumulate assets to support yourself for a lifetime by making sure you don’t outlive your income. Having debt will make it impossible to achieve. So eliminate them as soon as possible. Take for example you are 35 years old earning $3000 a month and continue to earn, that will be more than $1 million in career earnings if you retire at age 65. That’s good news but it actually works against us. People often develop a mentality that with this good income, life will take care of itself. But the real issue is not how much money you earn, but how much you keep. Consider food. If you and your spouse retire at 65, living to average life expectancy of 80, there is going to be 32,850 meals during retirement (3 meals a day, 365 days a year over 15 year for two). The total will be $164,250 if each meal cost $5. Where will this money come from? To make things worse, you are going to live much longer than your parents and grandparents did. Therefore, money must last much longer. If you fail to plan, there is a possibility of a retirement filled with poverty, welfare, and charity. It is for all these reasons – to protect against risk, elimination of debt, longer life expectancy, afford a comfortable retirement – that you need to create a financial plan. As your income begins to increase, so does the importance of savings and investment planning. At the beginning, people save to build up an emergency fund for unexpected circumstances. As time goes by, people will spend more attention to investment using surplus as means of accumulating wealth, either for children’s education or for retirement which are both major worries. Various investment platform which as stocks, government or corporate bonds, mutual funds, properties, and so on are used to acquire wealth. 8% or 10% return, you might be thinking what’s the big deal? It’s just 2% difference. Through the power of compound interest, a higher return means more money as time goes on, generating more than twice the money over a 40-year period! The period which you kept your money invested in is just as important as the rate of return of the investments. The magic of compound interest allows you to accumulate more than twice as much capital by investing for 40 years rather than 30 years. This is why it is so important to create strong savings and investment habits early. The cheapest time to start saving for retirement is today. Find out why. All important things in life cost money – marriage, purchasing your first HDB, new-born, children education, taking care of parents in their retirement years, your own retirement. To add on to the money problem, all those mention have become more expensive as time goes. 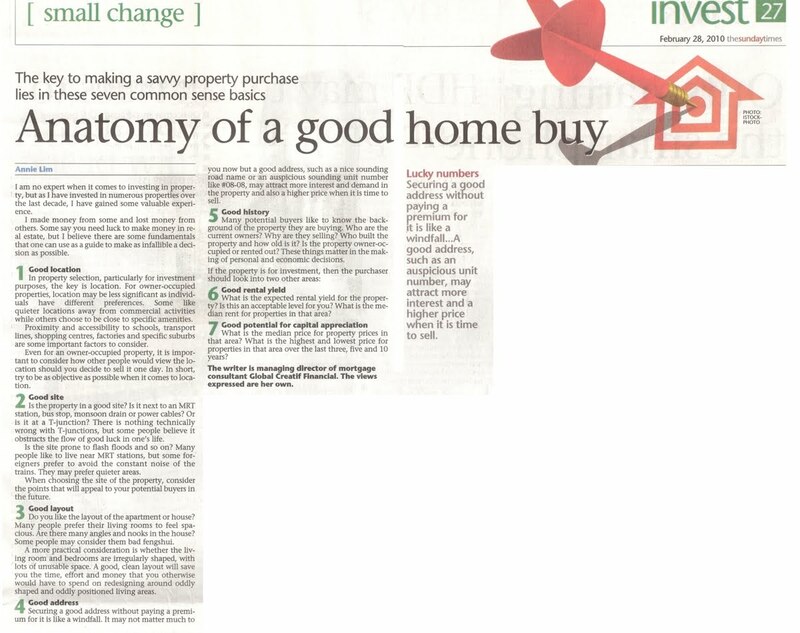 A typical BTO HDB might cost $300,000 or more. Taking care of your parents during their retirement years easily cost tens or hundreds thousands of dollars. For children, if you are factoring in the price of diapers, food, health care, clothing, toys, education, it is going to cost more than you could ever imagine. We have to be realistic when it comes to long-term financial plan as some money-related matters are out of your reach. It is because you cannot control how much education, housing, health care will cost. But there are issues which are within your control, like how much you spend or save. There are no short cuts, it’s somewhat like dieting, and you need to follow it through before your waistline starts to show results. Time is your best friend when it comes to accumulation. The sooner you start, the better it will be. Let’s say if you start to save when you turn 25. How much money do you think you will need to set aside to have $1 million during retirement at 65? $1000 each month? $2000 each month? You will just have to set aside $400 each month assuming it is earning 7% return each year. 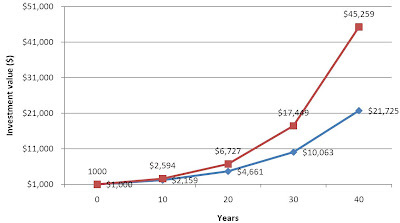 All you need to do is to set aside a total amount of $192,000 over 40 years to have $1 million at age 65. What if you procrastinated and only started to save when you are 35? You will need to set aside $800 each month, which means the total amount is $288,000 with the same assumption of 7% return. This means procrastinating does come at a price. 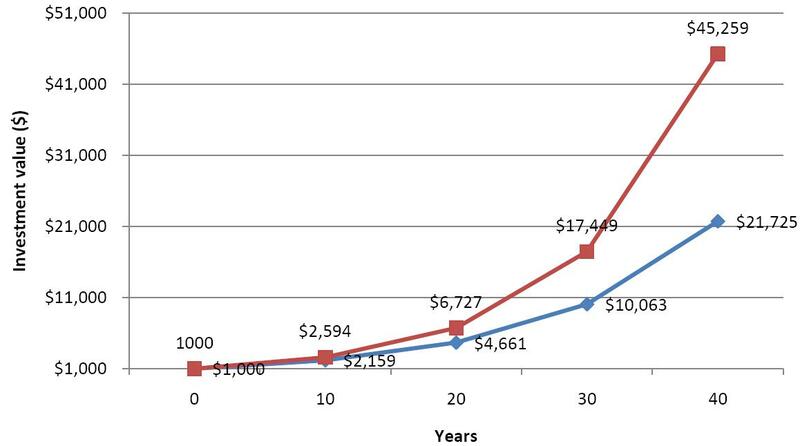 In this case, a 10 years wait will cost you close to $100,000 extra to reach the same goal. Lesson learn: You have to be patient. Small amount of money if properly managed will turn into large amount of money in the future to cover cost of living during golden years. Learn why it is important to have some money saved for unexpected events! Saving money should be at the heart of all of your financial goals. This advice might sound old-fashioned and unglamorous but it has well and truly stood the test of time. The question is: How do you save enough to meet all your many needs in advance? Sending your children to university can be expensive, housing prices are shooting through the roof, and the burgeoning cost of living means that putting away enough for your retirement is looking to be a real challenge. Still, financial experts say it is possible to save enough to reach all your goals, but doing so requires you to have the correct philosophy and follow-through. For one thing, stop making excuses. People often lament that they are unable to save. Often, the problem is simply that they are unaware of where their money is going to or how much they are spending on items they do not require. These sorts of excuses are just not legitimate. 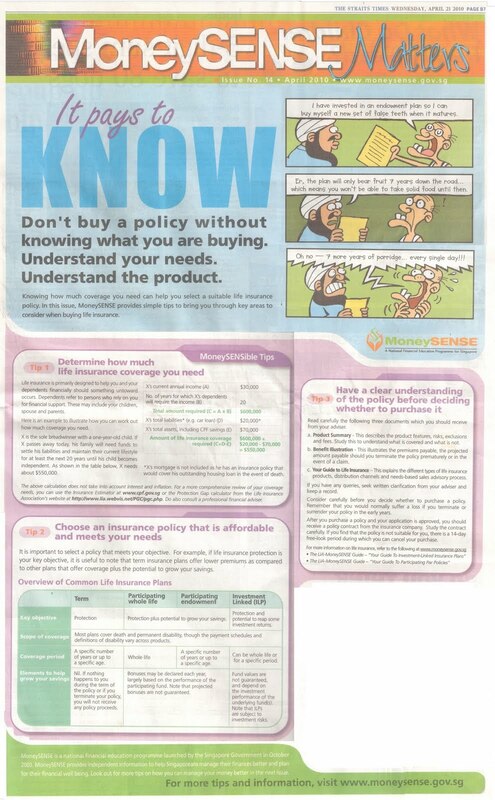 'There are many myths concerning savings, such as earning too little to save, or the need to save when your life is full of uncertainty,' said Financial Alliance's associate director Tea Eng Peng. Many financial advisers like Mr Tea believe that saving money is as much mental as fiscal - once you stop making excuses, you will quickly see your money grow. 'A general rule of thumb for savings is 10 per cent of your income,' said ipac financial planning Singapore's senior vice-president Brian Goh. Like many financial decisions, saving starts with a plan. Here are a few tips for getting started. For short-term goals like paying the down payment on your dream house, first find out how much this will cost you. Then establish a time frame. Suppose you want to be able to make a down payment five years from today - once you know the cost and time frame, you can calculate how much you will need to save monthly. Make sure your goal is attainable within that period to avoid getting disappointed. For long-term goals like saving for retirement, you could enlist the help of a qualified financial planner who will consider your desired lifestyle and the effects of inflation on your capital. 'For someone who is a little less disciplined in putting aside money, he or she can seek help through a structured savings programme,' said Mr Shrikant Bhat, Citibank Singapore's head of wealth management. 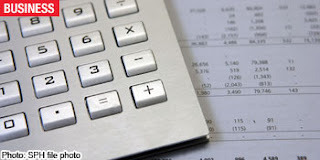 Have a budget so that you will know each month or each pay cheque how much you can spend on any given item or category. If you cannot fit all your savings goals into your budget, take a look at what you are saving for and cut out the less important things - or adjust the time frame. 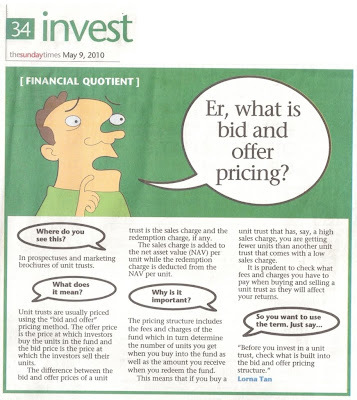 'Cut your expenses or find ways to increase your income if your total expenses and your targeted saving amount are more than your monthly income,' suggested chief executive Christopher Tan of wealth management firm Providend. Always pay yourself first before settling other monthly bills. Money for savings should come out of your income first and set aside where it cannot be easily touched. Doing this will compel you to be more careful with your spending habits as the other bills must be paid. In life you should expect the unexpected, and this is why you need an emergency fund - a special account that can be used for unexpected bills which may arise. Financial emergencies can come in the form of the loss of your job or significant medical expenses. Labels: Newspaper/Magazine Articles, Why save? Money in Medisave account will be increased to keep pace with rising health-care costs, another reason is because Singaporeans are living longer. Life expectancy for men now stands at age 79 and women 83.7 years. The Cap of Medisave account has been raised from $32,000 to $37,000. Singaporeans on average requires 11 hospital stays in a lifetime with most coming from later years of life. 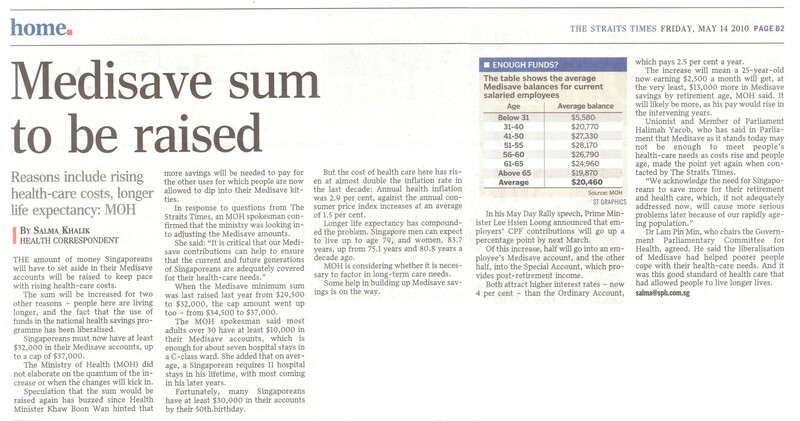 Singaporeans need to save more for their retirement and health care, if not it will cause more serious problems later on due to rapid aging population. How big an emergency fund? Everyone should set up an emergency cash fund, but the question is: How much money to put aside? This will depend on your circumstances - whether you have children, carry substantial debt and what kind of insurance coverage you already have. Still, most financial experts believe you should set aside between three and six months' worth of your living expenses in your emergency fund. The most common reason you will need to dip into this emergency fund is a sudden loss of income. Wynnes Family Office founder Carol Seah believes a six-month reserve is slowly proving insufficient. 'A 10- to 12-month reserve is more likely,' she said. The key is to start small, especially if you find it difficult to save money or find your fund size too ambitious to achieve. The important thing is just to start. 'Always break it down into smaller milestone goals. 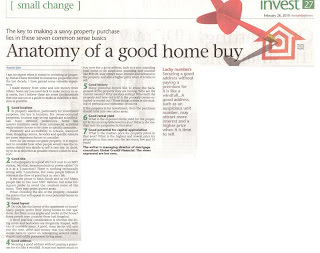 Start with the goal of accumulating a month's reserve, then three, six and so forth,' said Ms Seah. Do not stop saving, even when the fund has reached the target level you have in mind. Financial Alliance associate director Tea Eng Peng said that even when your target level is achieved, you should still continue to contribute a proportion of your monthly income. This is to ensure you can 'channel it to other resources when the timing is right, such as property, education or even business'. Keep this emergency fund fairly liquid - not in stocks, for example - so you can get to the money quickly in the event of an emergency. Always re-evaluate your fund from time to time to see if it can be improved. Financial losses most of the time are caused by the inability to handle various risks. The most common solution with this problem is to purchase insurance which either transfer or shift risk from you, an individual to a group. People buy insurance so that they are able to provide themselves with the money necessary like, to sustain existing lifestyle after the death of a loved one (life insurance), replacing monthly income (disability insurance), paying for hospital bills (Medical insurance). If you are not able to write a cheque to cover the loss, it is time to buy insurance. Life expectancy in Singapore continues to increase. In 2008, the life expectancy was 78.4 for males and 83.2 for females. Modern medical technology enables individuals requiring assistance and skilled care to live longer. Elderly individuals live longer, even if they are frail. Because the probability is good that you will live longer, you may need a variety of life, health, and disability insurances, such as long-term care. Life insurance pays a set amount of money to specified beneficiaries upon the insured’s death. The life insurance funds can be used to pay funeral expenses, debts, and fees incurred in settling the estate of the decreased. When purchasing life insurance, consider the standard of living you want for your beneficiaries based on your particular circumstances. Life insurance policy requires one who is the policy owner but might not be the insured, invest cash with an insurance company who has agreed to payout money to beneficiary upon the death of the insured. Life insurance is a viable and important tool for family protection. But it is also used for financial planning as well. Rules are very simple for life insurance. The main purpose is to have sufficient life insurance for beneficiaries to maintain the same lifestyle. Life insurance can also be used as a form of forced savings as some offers the option of accumulating cash value. 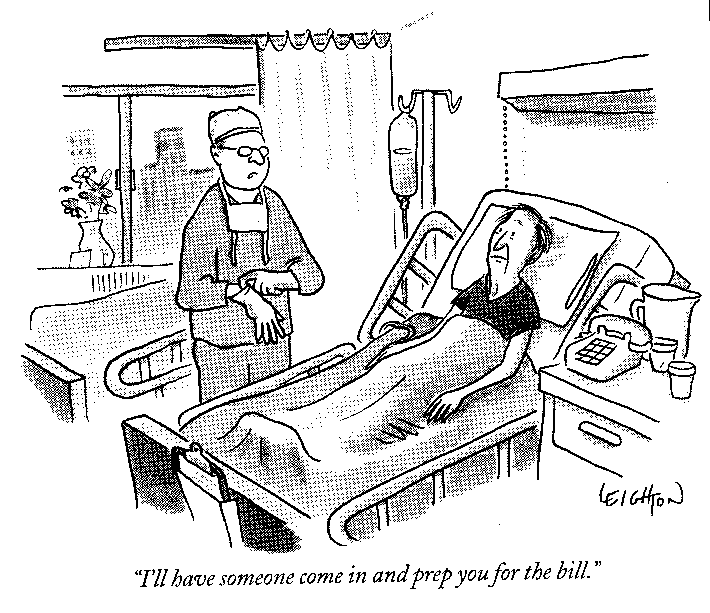 Health/medical insurance plans provide compensation for medical care costs due to disease or injury. These plans range from as-per-charged to plans with a daily limit. Due to the aging population in Singapore, as well as better survival rates for individuals who are severely disabled, long-term care insurance has become important. Long-term care policies include compensation for nursing homes, home health care, institutional care, assisted living facilities, personal care, and other related services for the elderly and disabled. The cost of premiums for long-term care insurance is affected by existing health problems, lifestyle choices, age, and family history, as well as the desired level of care. Long-term care is for everyone in need of medical assistance for a long period of time. You may need long-term care if you are in a disabling accident or have a disabling disease. 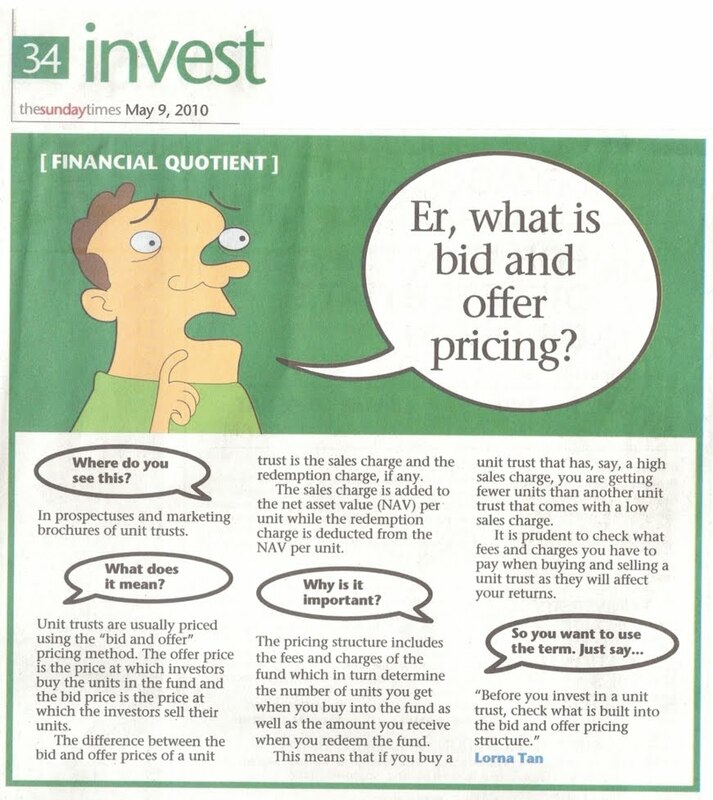 Er, what is bid and offer pricing? More people are topping up CPF accounts. 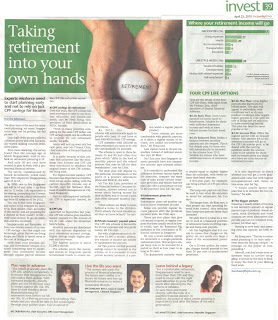 Incentives are introduced to encourage people to build up CPF retirement savings. People can qualify to claim for tax relief up to $14,000 each year if they do cash top-ups to their own and family members’ accounts. A bigger Retirement account helps parents to get a higher future payout for retirement. This solve the problem of them feeling embarrassed to ask children for money. People who are cautious rarely make money because nothing can be gained if you don’t venture out. If you plan to retire in 20 years, you cannot just rely on bank savings account as the low bank interest rate and high inflation will erode your savings, leaving you high and dry for retirement. Have diligent planning and be realistic about investment abilities and knowledge to help you along the way. Increase your knowledge by reading on daily basics, which one day might save you money or stress. Fail to plan, plan to fail. Success will always look up to those who plan. 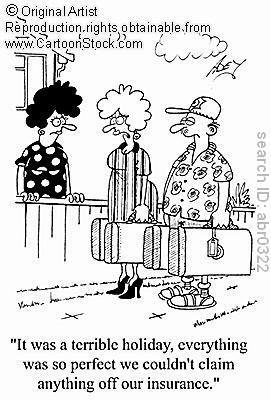 For some, they spend more time selecting their holiday location than into financial planning. Past performance cannot be a good indicator for future performance, but the behavior can be of reasonable guide by giving you a rough picture of what you might expect. Invest even through it is a small amount on a monthly basis during good or bad times because it does not matter how slowly you go, so long as you do not stop. Do you really want to be dependent on your children's generosity? Many Singaporeans are not planning for their retirement with only half of them having concrete retirement plans at the average age of 59. There will be a risk of people strapped for money during retirement because by 2030, 1 in 5 Singaporeans will be 65 and older – up from 1 in 12 today. 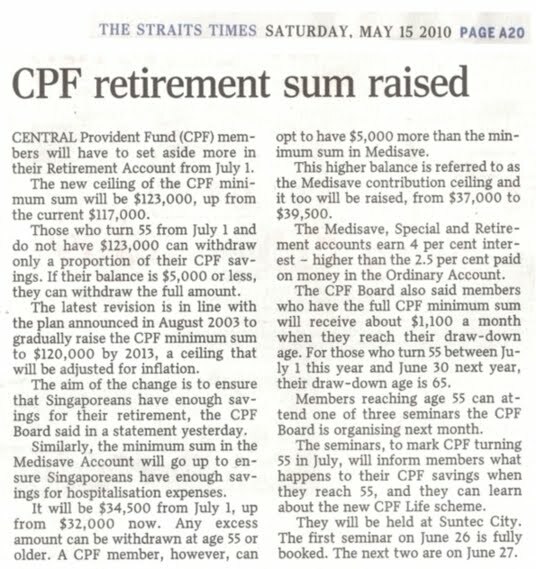 One definite source of income for retirement would be from CPF savings. But the question of will it be enough pops up as life expectancy and cost of living increases. 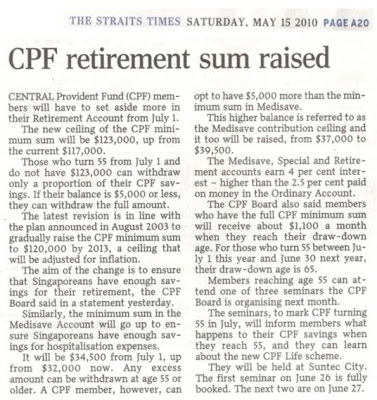 CPF Life was introduced last year September replacing 20 years’ payouts to regular payouts for life under the Minimum Sum Scheme. But with the highest payout of slightly over $1,000 each month, supplementary income is required to prevent a decline in quality of life. Singaporeans can look into supplementary income scheme like private insurers’ payout plans or endowment plans. Do have a balanced retirement portfolio of regular and lump-sum payouts. One with more lump-sum payouts will run into trouble of spending beyond their control allowing retirement funds to be reduced faster than intended. Start planning for your retirement as early as possible to leverage on the power of compounding. Don’t allow your retirement years to involve struggling. It should be a period for you to be able to live comfortably, enjoying the fruit of your lifelong hard work through your golden years. Er, what is CPF Life? CPF Life (Lifelong Income Scheme For the Elderly), a national annuity scheme providing members income streams for as long as they live. Four different plans with varying combinations of income payout is available - Life Basic, Life Balanced, Life Plus and Life Income. Monthly payout is not fixed as it will be adjusted yearly to take in factors like CPF interest rates and mortality experience. Plan and simple, you need help. You might be brilliant at managing cash flow and savings, but not so good at investing. You have got the dream job, but is worried about losing it and unprepared for what could happen next in the economy. You are a fantastic investor, but face a struggle to pay for an emergency car repair. You know that you are set for life, but want to make sure your family members can live out their days in comfort, or you are terrified that what you leave behind could tear up your family. Whatever your situation, there is a reason why you need financial help. A financial planner’s job is to look at your entire picture and to come up with a plan you can follow for the rest of your days that will take you to your financial goals. It is to do battle with the market, so that when there is a downturn, bear market, or lousy economy, it would not crush your dreams; the stock market does not know when your next tuition payment is due, when you need cash to pay for a wedding or purchase a new car, or when you will pay off the mortgage. The reason to look for a financial planner should not be to “beat the market”. It should instead be having enough money to do what you want, not about having a once in a lifetime return. How do you make your life better? get more control? protect your family? Create a personal financial plan. Start here! SINGAPORE - Patients at private hospitals here could be paying twice as much for the same procedure, depending on where they seek treatment. A day after Health Minister Khaw Boon Wan said private hospitals will be required to publish these bill sizes if they want to make Medisave claims, MediaCorp found that the difference in fees now range from some 15.4 per cent to 103.3 per cent. For instance, 90 per cent of Mount Elizabeth Hospital (MEH) patients pay up to $8,600 for a 2.6-day stay in a one-bed ward when they give birth, compared to the $4,233 for a 2.1-day stay at Parkway East Hospital (PEH). For day surgeries, 90 per cent of PEH patients pay up to $1,733 for gastroscopy, up to 60 per cent more than the $1,083 fee at Gleneagles Hospital, according to checks on the Ministry of Health (MOH) website. The three hospitals are run by Parkway Holdings, whose medical specialists run their own practice and bill their patients directly. Government Parliamentary Committee chairman (Health) Dr Lam Pin Min said the fee differential could be due to doctors pricing themselves according to their years of experience. "Some want to be competitive so they price lower, others feel their experience allows them to charge more," he said, and added that this is where information on clinical outcomes will augment the publication of bill sizes. Consumers would then know how much they are paying for a certain success rate. In cataract surgery, for example, where there is a price difference of up to $2,000 between MEH and PEH, Dr Lam, an eye specialist, said that another cost factor could be the type of intraocular lens used to correct vision. Still, Mr Khaw's plan, which will take effect early next year, could narrow the price gap between private hospitals, which now provide data for only about a dozen treatments on a voluntary basis. MOH data in 2003 showed that Changi General Hospital (CGH) charged an elderly B2-class patient with pneumonia $1,272, or 77-per-cent more than the comparable median figure of $720 at the National University Hospital. Now, NUH charges $129 more - an 11-per-cent difference - than CGH to treat pneumonia in the elderly with complications, in a B2-class ward. Dr Lam believes the move will also bring down prices among private hospitals, similar to what happened when MOH published the bill sizes of public hospitals. Lasik surgery, where average bill sizes dropped by more than $1,000 per eye, is often cited as a prime example of this. A Mount Alvernia Hospital spokesperson said the impact of publishing private hospital bill sizes is "left to be seen", but the hospital will continue to provide the best care for patients while ensuring its services remain "comprehensive and value-for-money". The Ministry of Health (MOH) is getting tough on the hospitals to share the sizes of their bills, by requiring that they state the full bill if patients want to make Medisave claims. This means that patients will be able to compare prices between both the private and public hospitals, which already supply information on bills for 70 procedures. 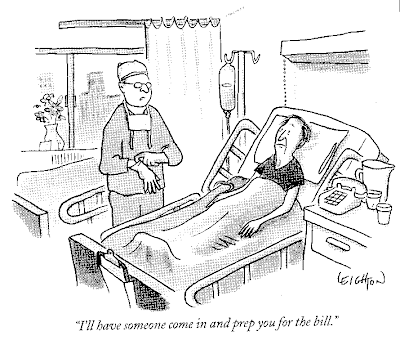 Private hospitals now provide sizes of bills for only about a dozen treatments. 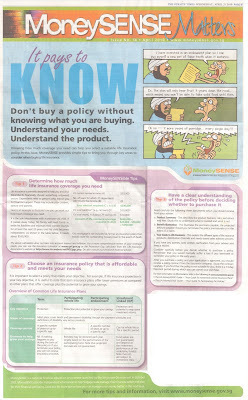 The bill sizes, updated monthly, are available at http://www.moh.gov.sg/mohcorp/billsize.aspx?id=302 on the MOH website. They get some 7,000 page views each month. Giving patients information to help them decide where to go for treatment has been a key ambition of Health Minister Khaw Boon Wan, who set the ball rolling seven years ago with selected procedures at public hospitals. The private sector has been slow to come on board, arguing, among other things, that their billing is more complicated, with doctors presenting their own bills to patients. SINGAPORE: Singaporeans withdrew a total of S$660 million from their Medisave accounts to pay for the direct medical expenses incurred in hospitals, clinics and other healthcare facilities last year. 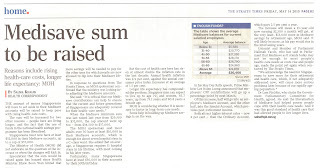 This was an increase from the S$590 million withdrawn in 2008. These figures do not include withdrawals for MediShield and ElderShield premium payments which were S$745 million in 2008 and S$875 million in 2009. 52 per cent of the withdrawals in 2009 were to pay for the members' own direct medical expenses. The remaining withdrawals were to pay for family members: 17 per cent for spouses, 18 per cent for parents, 12 per cent for children, one per cent for grandparents and others. Singapore government will be increasing employer's CPF contribution rate from 14.5% to 15.5%, bringing the total CPF contributions to 35.5%. Total CPF contribution rate is expected to hit maximum of 36% if economy continues to perform in the next one or two years. 0.5% increase will go to Medisave Account while the other 0.5% will be made into Special Account to provide for Singaporeans medical needs and retirement.